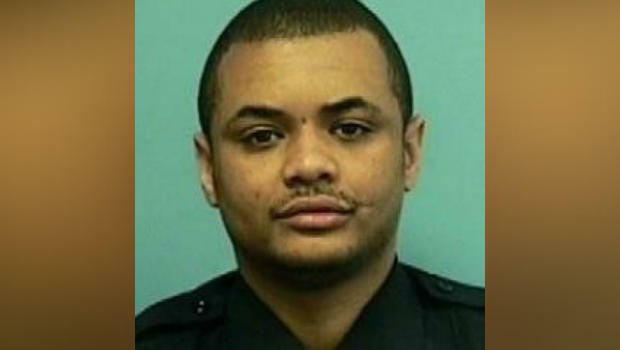 BALTIMORE -- A Baltimore detective killed by a gunman last week was slain a day before he was set to testify in a corruption probe into activities of indicted officers, the city's police commissioner confirmed Wednesday. CBS Baltimore reports that the Baltimore Police Department held a press conference Wednesday evening to update the public on their investigation into Detective Sean Suiter's murder. Baltimore Police Department Commissioner Kevin Davis said Suiter was set to give testimony in a federal grand jury case as part of an incident that took place years ago, CBS Baltimore reports. This involved Baltimore police officers who were federally indicted earlier this year. The police commissioner's latest revelation will do little to quell speculation. Davis emphasized that Suiter was not the target of any criminal investigation. The Baltimore police and the FBI do not have any evidence to suggest that Suiter's slaying is "part of any conspiracy," according to Davis. But he added "there's nothing we won't consider" and said he understands why there is speculation. "It certainly makes for great theater," Davis said. Suiter wasn't "anything other than a stellar detective, great friend, loving husband, and dedicated father," Davis said. He was a father of five and an Army veteran. The federal grand jury is investigating a group of Baltimore officers who worked together on a firearms crime task force and have been charged with stealing money, property and narcotics from people over two years. An indictment has described the members of the Gun Trace Task Force, a small unit dedicated to getting illegal guns off Baltimore's streets, as using their position to allegedly threaten the innocent, detain people on false pretenses and steal their money. They are also accused of faking police reports, lying to investigators and defrauding their department. Davis emphasized that the evidence collected in Suiter's unsolved killing points to a "spontaneous encounter" the homicide detective had with a suspicious man he observed while working in a high-crime neighborhood with his partner. Evidence indicates a violent struggle, Davis said, including a roughly three-second-long radio transmission in which what seem to be gunshots are heard and Suiter appears to be in distress. CBS News correspondent Kris Van Cleave reports that video has surfaced of Suiter's partner, who was away from Suiter taking cover at the sound of gun fire and immediately calling for help. According to Suiter's partner, both officers observed an African American male in a black coat with a white stripe acting suspiciously about 20 minutes before the shooting, Suiter saw him again moments before he was killed. To date that's the best description the partner has been able to provide. Investigators have recovered the detective's gun from the gritty lot where he was shot and have determined that the 18-year veteran of the department was shot with his own weapon. Ballistic tests show that recovered shell casings were matched to the recovered firearm. An autopsy conducted four days after the attack showed that the gunshot was fired in "close contact" to Suiter's head, Davis said. Davis knocked down speculation that Suiter's partner might have somehow been involved. "The fact that we have not yet made an arrest creates an environment for rumors to flourish," he said, adding that "many people" have been interviewed and interrogated. CBS Baltimore reports that a GoFundMe campaign for Suiter's family has raised more than $44,000, and Suiter's funeral will happen next week.